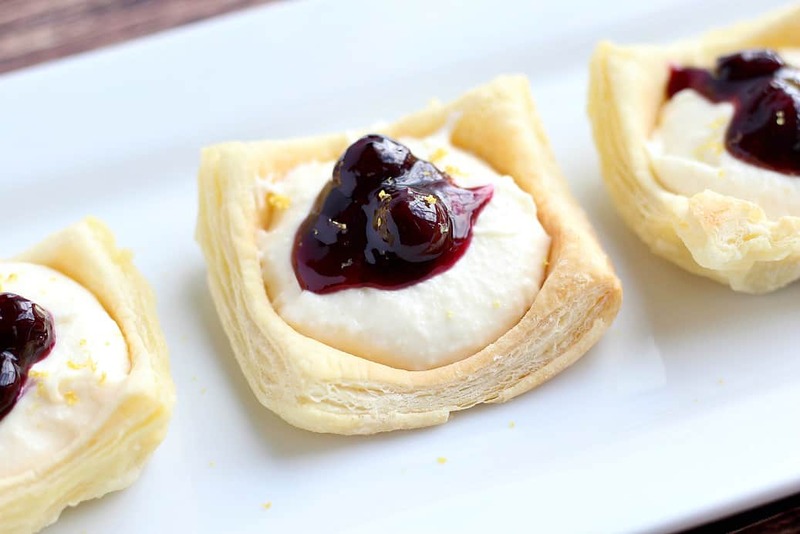 Puff pastry cups can be used for so many delicious desserts and appetizers! These are two easy tutorials on how to make puff pastry cups! Edible bowls and cups are not only delicious, but super convenient! We definitely say “YES!” to less mess! Puff pastry is really delicious and tastes great when combined with fruit, pie fillings, cheese, peanut butter, and just about every single other food under the sun! 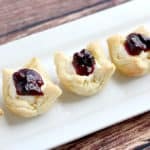 Using puff pastry cups makes serving appetizers and desserts fun and easy! We use Pepperidge Farm Puff Pastry Sheets for both methods. 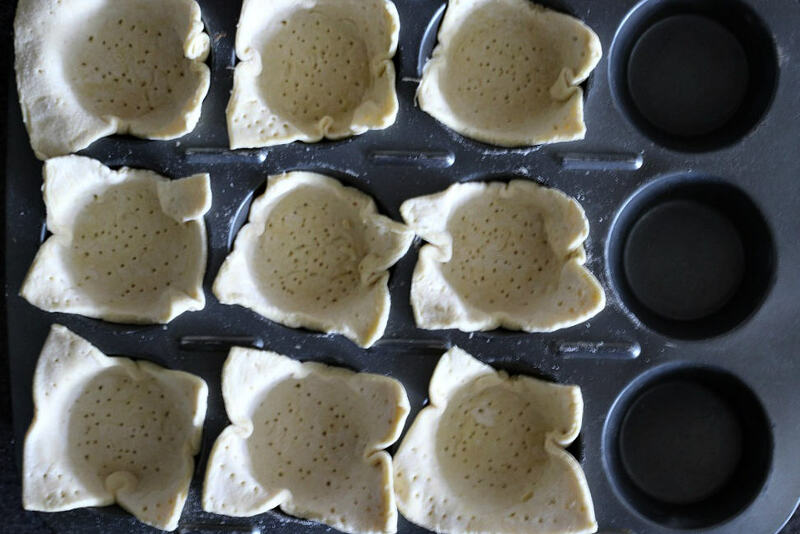 This post will teach you two different ways to make puff pastry cups using the same 12-cup cupcake pan. The first method results in larger, shallower cups, like those pictured above) that are great for mini cheesecakes (a personal favorite!) and other thicker, less runny fillings. The second method, pictured above, will give you smaller, but deeper puff pastry cups that work best for smaller servings or with fillings that may be a bit more messy. After defrosting your puff pastry sheet, roll it out on a lightly floured surface until the cupcake pan fits over it. Using the cupcake wells as markers, mark the dough where it needs to be cut to make 12 equal size squares. Cut the dough and pierce holes in it with a fork. I use the back of a butter knife to cut the dough. Turn your cupcake pan up-side-down, lay a square of dough over each cup and lightly press around the cup to form a bowl shape. Lay a sheet of parchment paper or Silpat mat over the top and then a flat baking sheet on top of that. This will keep the base of the cups from rising too much. Bake for 12-15 minutes until lightly browned. Let cool and remove from the pan. Viola! Shallow puff pastry cups! 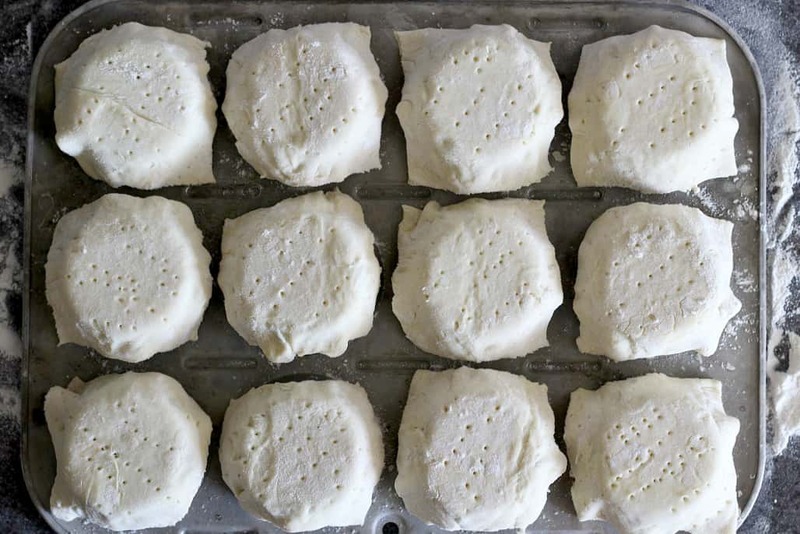 For deeper puff pastry cups, instead of placing the squares of puff pastry dough onto an up-side-down cupcake pan, you will place the dough into the wells. Bake for 12-15 minutes until lightly brown and don’t panic when you see the pastry has puffed up and covered the base! Simply use the back of a spoon to press the dough down to form the well. We most recently used both these cups for the No-Bake Lemon Cheesecake you see in these photos, but the possibilities are endless! 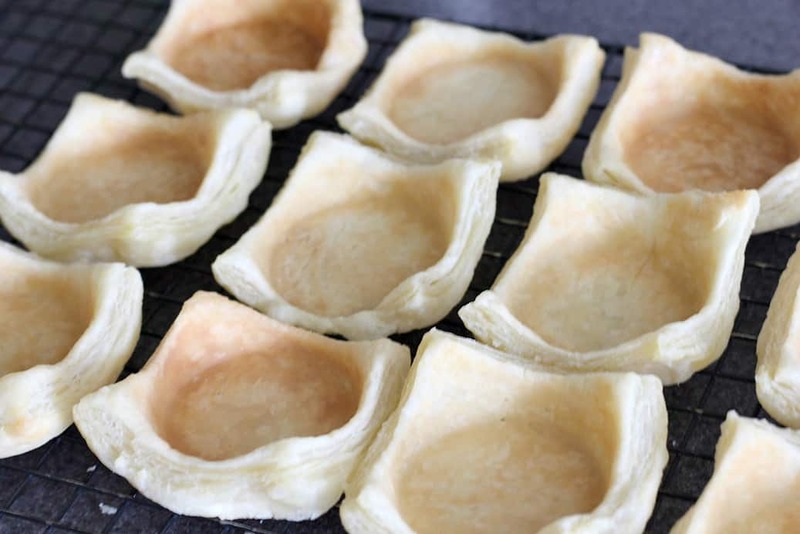 Leave a comment and let us know what you are planning to make puff pastry cups for! 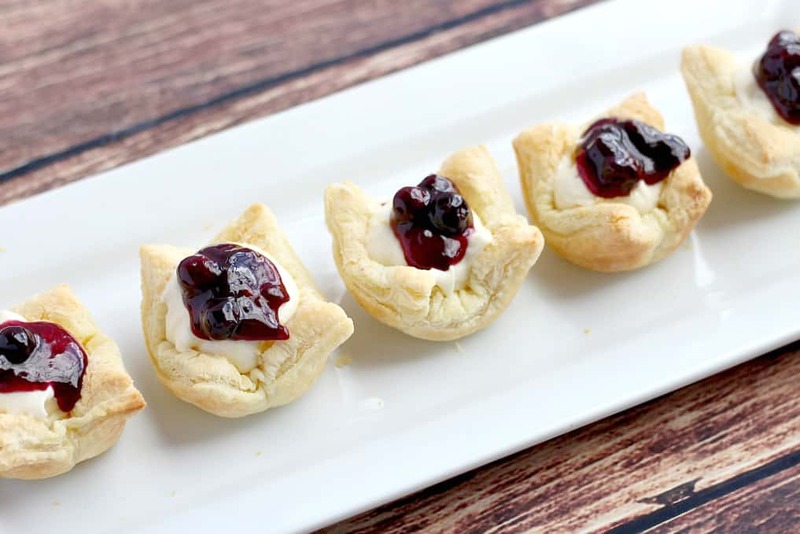 Here are two easy tutorials on how to make puff pastry cups! Preheat oven to 400°F. After defrosting your puff pastry sheet, roll it out on a lightly floured surface until the cupcake pan fits over it. Mark the dough where it needs to be cut to make 12 equal size squares. Cut the dough and pierce holes in it with a fork. 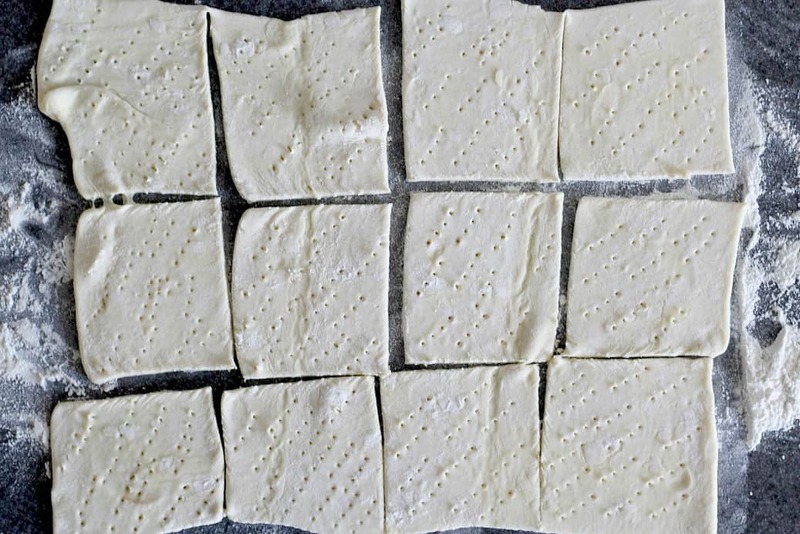 Repeat with the other sheet of puff pastry. For SHALLOW cups: Turn your cupcake pan up-side-down, lay a square of dough over each cup and press around the cup to form a bowl shape. Lay a sheet of parchment paper or Silpat mat over the top and then a flat baking sheet on top of that. This will keep the base of the cups from rising much. 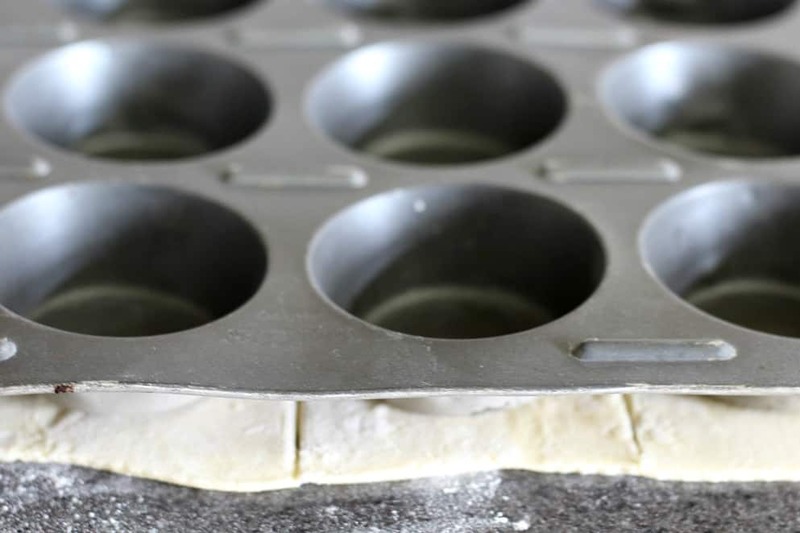 For DEEPER puff pastry cups: instead of placing the squares of dough onto an up-side-down cupcake pan, you will place the dough into the wells. Bake for 12-15 minutes until lightly browned. Let cool and remove from the pan. 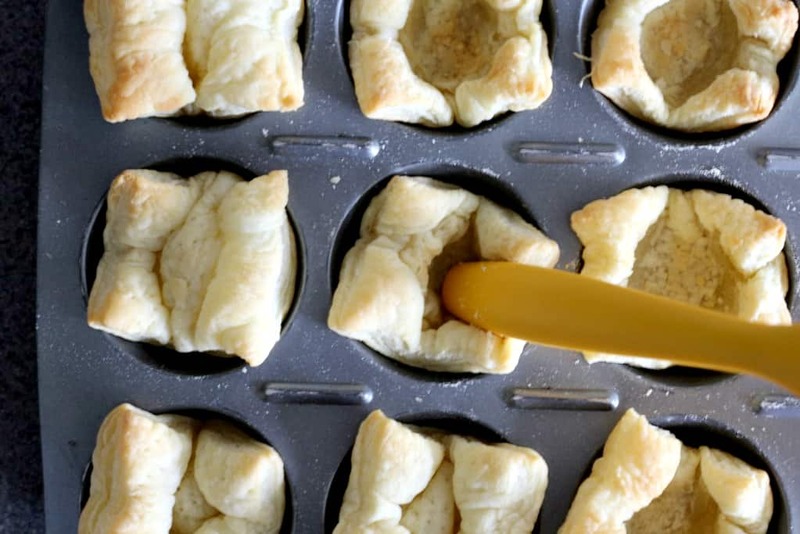 For the deeper puff pastry cups, use the back of a spoon to press the dough down to form a well. I simply love individual desserts. Puff pastry is a great staple to have on hand. Fill it and you have a great dessert. In fact, you could fill them with something savory and have a great appetizer. Thanks for the inspiration. This is one of the favorite things for my kids to have. They love puff pastry with things in there they can enjoy. I make these quick shells and usually add custard pudding but this sounds so delicious. Can’t wait to try. Wow, I want to eat it every day! I’m sure this is very tasty. An interesting dessert for my children. I really like. It’s just incredible. Thank you! 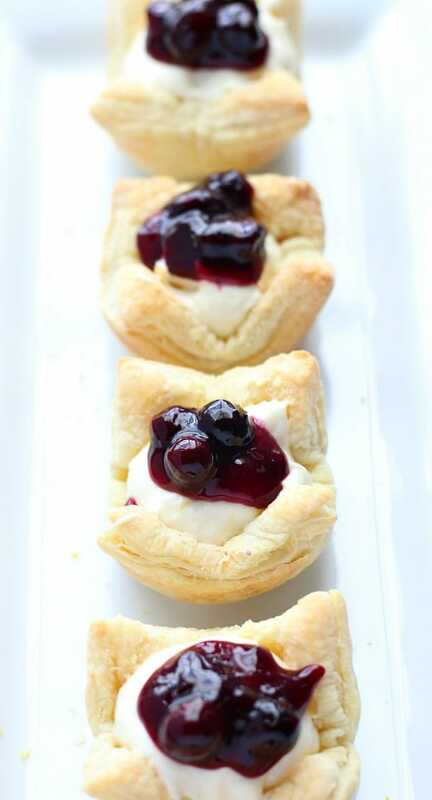 These puff pastry cups are such a good idea! I am going to make these for our next family gathering. what a great idea making these in cups. Easy and no mess and much quicker I really need to try this they look so good! Thank you for the instructions – I needed them. Just a tiny error you might want to fix: about a third of the way down in the instructions you tell us to “scour” the dough. I tried that but hubby didn’t like the soapy taste. Are you sure you don’t mean to “score” the dough? Just saying. Oh goodness. It’s supposed to just say “mark the dough” like in the recipe card. This was written a while ago, so who knows what in the world I was thinking at the time lol.